An increasing trend in content strategy is the idea of creating distinct mobile experiences to complement TV shows, movies and live events. This “second screen” is exploding in popularity. Joining us this month via Google+ is Caroline Engle, producer of the Primetime Companion feature for NBC for the 2014 Sochi Olympics. 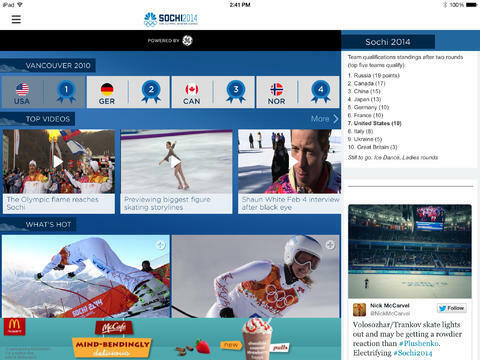 The Primetime Companion was a feature that lived within the NBC Olympics Highlights and Results application. The feature offered engaging, complementary and interactive content that tied directly to the primetime shows as part of the second screen experience. Typically 200-250 pieces of content were produced for each show and released to the app at approximately the moment it was relevant to viewers. From the hours of 7p-12p, the app defaulted to the Primetime Companion. 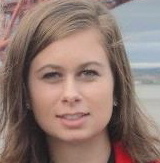 Caroline Engle produced the Primetime Companion feature for NBC for the 2014 Sochi Olympics. She was previously an employee of the CBS television series “Person of Interest” in New York as well as The Golf Channel in Orlando. Caroline graduated from the University of North Carolina at Chapel Hill in 2013 with a bachelor’s degree in communication studies and a focus in media studies and production. She is also proud to be a Virginia native, having grown up in McLean.